Shan-e-Punjab (S.E.P.) is a strong supporter of education and we enjoy providing opportunities for our students to volunteer. Through volunteer positions, students gain experience and build skills which help them gain entry to post-secondary institutions and successfully apply for scholarships. For the first time S.E.P. is able to offer a scholarship to one of its students in the amount of $1000. The 2015/2016 recipient was selected earlier in January and was announced by the sponsor as Ms. Tanvi Manak. Congratulations! Ms. Tanvi Manak is a Senior Intermediate team student and Team Lead. In addition to dancing, she has spent countless hours volunteering in many positions. She was the recipient of the South Asian Family Association's Scholarship in the category of Community Involvement. She was awarded this scholarship on July 19, 2015 at the India Live Street Festival. Below is Ms. Manak receiving her award from Saanich Mayor, Richard Attwell. The second scholarship recipient has been selected by the law firm, and will be announced on May 14 2017, at our annual youth cultural show case at the University of Victoria, Farquhar Auditorium. The second scholarship recipient has been selected by the law firm for the 2016/2017 year, congratulations to Ms. Payal Chandel. Her scholarship was announced on May 14 2017, at our annual youth cultural show at the University of Victoria, Farquhar Auditorium and presented by Ms. Jill Soole of Acheson Sweeney Foley Sahota Personal Injury Law Firm. Ms. Chandel also has been teaching for over 3 years. The second scholarship recipient has been selected by the law firm for the 2016/2017 year, congratulations to Ms. Payal Chandel. Her scholarship was announced on May 14 2017, at our annual youth cultural show at the University of Victoria, Farquhar Auditorium and presented by Ms. Jill Soole of Acheson Sweeney Foley Sahota Personal Injury Law Firm. Ms. Chandel also has been teaching for over 3 years.The third scholarship recipient has been selected by the law firm for the 2017/2018 year, congratulations to Ms. Jasleen Dhatt. Her scholarship was announced at our 25 year show, on Saturday May 5 2017, at our annual youth cultural show at the University of Victoria, Farquhar Auditorium. In 2018 she has completed her degree in sciences from the University of Victoria. Ms. Dhatt joined when she was 12 years old. The scholarship is open to current S.E.P. students that are attending or will be attending post-secondary education in the 2017-2018 school year. The deadline for the scholarship for the 2017-2018 year is August 2 2017 at 5:00pm. The recipients educational institution will receive the scholarship in the form of a cheque directly from the sponsor. The scholarship panel will include the sponsors only. 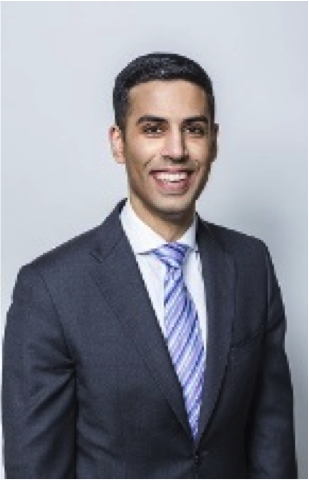 This scholarship has been made possible due to the sponsorship of Mr. Rajinder Sahota and Mr. Sonny Sidhu, personal injury lawyers with the law firm of Acheson Sweeney Foley Sahota in Victoria, BC. The scholarship application and criteria are set out below. Please print all 3 pages of the application below. Mr. Sonny S. Sidhu is an experienced personal injury lawyer and often goes the extra mile for his clients. Sonny chose this profession to help represent every day, disadvantaged people who were fighting large insurance companies. This passion to help the underprivileged began early in life, when he helped organize soccer tournaments for children who could not afford other recreational leagues at the Ross Street Sikh Gurdwara/Temple in Vancouver. In law school, Sonny spent significant time volunteering with LSLAP, an organization dedicated to helping clients who were economically disadvantaged. He continues to be actively involved in the Indo-Canadian Community today. It is with a strong desire to serve the community that Sonny has endorsed this scholarship. Service has been a huge part of Sonny’s life and he hopes to inspire future generations. 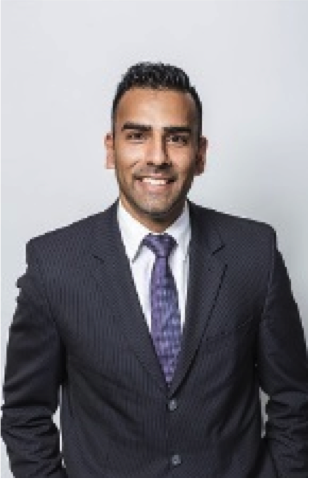 Rajinder S. Sahota is a partner at Acheson Sweeney Foley Sahota and one of our leading lawyers. He specializes in personal injuries that result from the negligence of others. Both inside and outside his professional work, community service has been an important part of Raj’s life. During his youth, he spent significant time working with children with disabilities at Queen Alexandra Centre for Children’s Health. He also grew fond of the Sikh religion and Punjabi culture, and in order to learn more began volunteering for the Khalsa Diwan Society at the local Victoria Gurdwara/Temple. Currently, he is a board member of three non-profit organizations, including one that helps individuals who have suffered from spinal cord or traumatic brain injuries. With a life-long commitment to service, Raj hopes to inspire future generations to contribute to their respective communities.